Enjoy a busy surrounding and the busy but especially: Indian food, you are at the right address here. Het Bollywood your table will always be filled with great food - they will make sure. At Bollywood, the service will make sure you have a great Indian night! 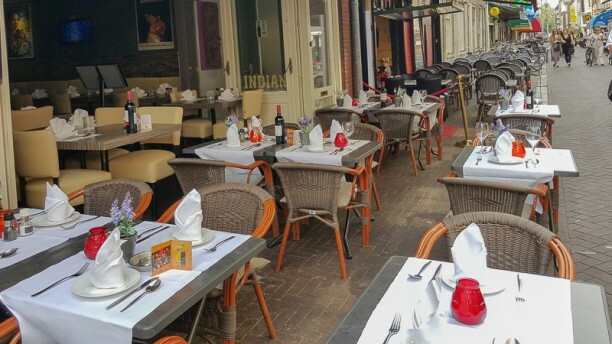 Bollywood Indian restaurant is the best Indian restaurant in the heart of Amsterdam and this is vouched and experienced not only by Indians like me who visit it but also by my international friends who find the food and service of the best quality and at an affordable price. The service staff and the chef are well mannered and very helpful along with making you feel as if having food at home. The added touch of love and respect adds subtle flavour to the food making it more tasty. Today I celebrated my daughter's birthday at the restaurant along with our Dutch uncle who came to the restaurant for the first time. He was impressed by the ambience, service and food. We would surely recommend this restaurant to all and will visit for having food again. Great food and great service and very nice personnel. Very nice food and nice ambience. The hospitality is to the highest level. The hotel staff are polite and take good care of you. Food is at reasonable price. Full value for money! We waited 45 minutes for our food but food had a good taste. Also good value for money. My reservation was not accepted by hotel. You fooled us and spoiled our new year evening. The food was delicious ! This is a hidden gem in Amsterdam. I keep coming back to Bollywood and all these years the taste has remained the same. The waiter Sujan always goes the extra mile, and helped with making the meal extra spicy and as per our taste. The owner and the staff are super friendly. Try the Mixed Sizzler platter (comes steaming from the over to your table) and the delicious Lamb rogan gosh ! Quick service, excellent value for your money and very good Indian food. Don't let the touristic area fool you! Prices are more than reasonable and service is very friendly. Good Indian cuisine in the accommodating and informal atmosphere. Recommended! Nice food and ambience. The staff was cordial and made sure some special requests were taken care of. Really tasty Indian food in the heart of Amsterdam with very friendly service! The naan are steaming fresh and the both the Saag Paneer and the Began Bharta were delicious! Will definitely come back here! Food was good but the group of 20 screaming guys next to us very bad. This restaurant should refuse big groups and concentrate on the behavior of the clients. Delicious food! We really enjoyed our meal here.